Thank you for your welcome to your forum. Great to have you, don't be shy and post away! And yeah I use Tapatalk, really good, a few little kinks here and there but easy enough to use. I started a thread labelled "New HX machine + grinder - ideally transportable" as I thought there was too much content for this thread. Look forward to being part of the club! great looking setup must be fun to play on for sure! G'day Taz, have a great time here, enjoy the journey! Thanks KK. On that note, would you care to comment on the separate thread I started called "New HX machine + grinder - ideally transportable"? I would greatly appreciate any useful thoughts and feedback. Iv been trying to make good coffee at home for a while now but still just an enthusiastic amateur. Hello Mrh and welcome. I love the F5! I haven't moved mine on despite the fact I on,y use it twice a year now. All the benefits of a superjolly without the price tag!! 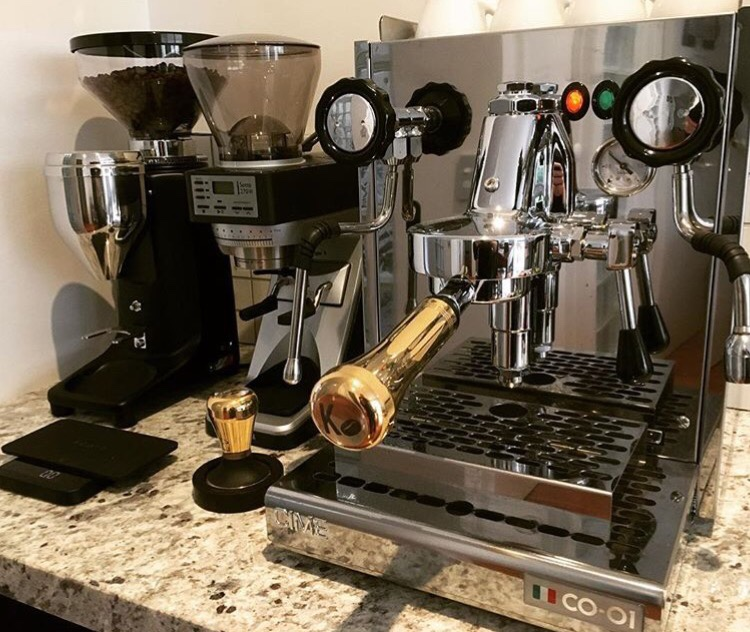 Welcome... lots of great HX machines out there including my favourite the Diadema Unico Splendor! Start a thread or join an existing one... and welcome! Yeah pods.. I've actually managed to squeeze a semidecent result (relatively speaking, relative to the usual pod extractions..) on a pod machine when on a Tassie devil scientific expedition in Tasmania. Coffee felt incredibly necessary for those grueling days haha, the normal espresso button was usually far too much volume liquid for the mere 7g or so in each pod.. I used two pods consecutively, and pushed I think the middle extraction button for the first, and the shortest extraction button possible for the second, both into the same cup, was the best I could squeeze out of what we had haha. Anyways enough about that! Enjoy the forums! Welcome to the forum MrH. It's great to have you joined up. Thanks kbean for the buyers guide, it is nice and concise with many questions answered. Possibly I just need an E61 group head to look at! I was in the same position many years back. I had a Silvia and was looking at a first HX. I asked a retailer "will I notice a big difference between a PID'ed Siliva and an HX." He replied "if you have to ask that, you haven't experienced one." At the time I thought that seemed a little salesy but when I got hold of my HX I quickly understood. "Driving" an HX machine is an experience. Single boiler:HX is like small hatchback:big V8. Hi all, just joined. My machine is on the second floor of my shed. I will post a pic when I work out how. Hi Fred and welcome! Your shed has a second floor?? You'd better work out the picture thing because I'm intrigued and a fair bit jealous. Welcome mate!! I have workshop on ground floor and man cave second floor, where I fix computers and do some video / photography. awesome and welcome to the forum! I'm new here and here is my first post. I move on to heavily modify the Silvia with every gadget and contraption I could. In the end I couldn't do the things I wanted with it so I moved on to my next and current machine. The GS3 is lovely but i needed it modified to have the Strada gauge pretty much immediately. I also run a compak e8od. I hated the compak for a long time compared with the SJ but have now grown to love it. oh thats a nice set up - must be fun to play with! can you pressure profile with the paddle or is it more about controlled pre-infusion ? Did you do those Silvia mods yourself? That reminds me of a heavily modded Silvia I saw several years back.